More than 175 Lancaster County Favorites! This creative cookbook will bring the bountiful harvest of the land to your family’s table. 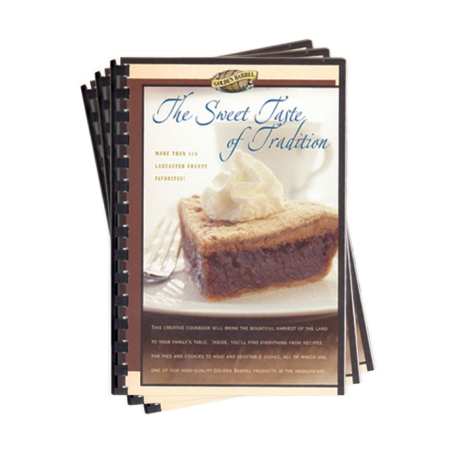 Inside, you’ll find everything from recipes for pies and cookies to meat and vegetable dishes. All of which use one of our high-quality Golden Barrel products in the ingredients.